Yahoo, Once the king of the internet, has been bought by verizon on Monday for about $5 billion. The Deal was declared o Monday, after Verizon emerged as the front - runner in the auction for Yahoo and agreed to $ 4.8 billion. The deal will unite Yahoo with AOL, the first web portal Verizon bought last year for $ 4.4 billion, Also Verizon's stocks tacks on 0.4 % pre - market after deal to buy Yahoo's business. American telecommunications company, Verizon on Monday announced the acquisition of Yahoo's core internet business for $4.83 billion in cash. Yahoo said it will change its name and become a publicly traded investment company. The deal marks the end of Yahoo as an operating company, leaving it with a 15% stake in Alibaba Group and a 35.5% stake in Yahoo Japan. Tech Firm Yahoo has reached the end of the line as it is all to sell its core buciness to telecommunications company Verizon for a whopping $ 4.83 billion. 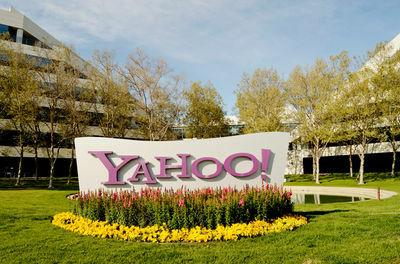 The deal includes Yahoo's internet operations and land holdings, said the bard of the company. The official cnfirmatin about the transaction will be made on Monday. Yahoo will be left ut with $41 billion in investments in e-commerce giant Alibaba.